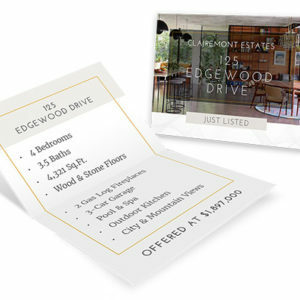 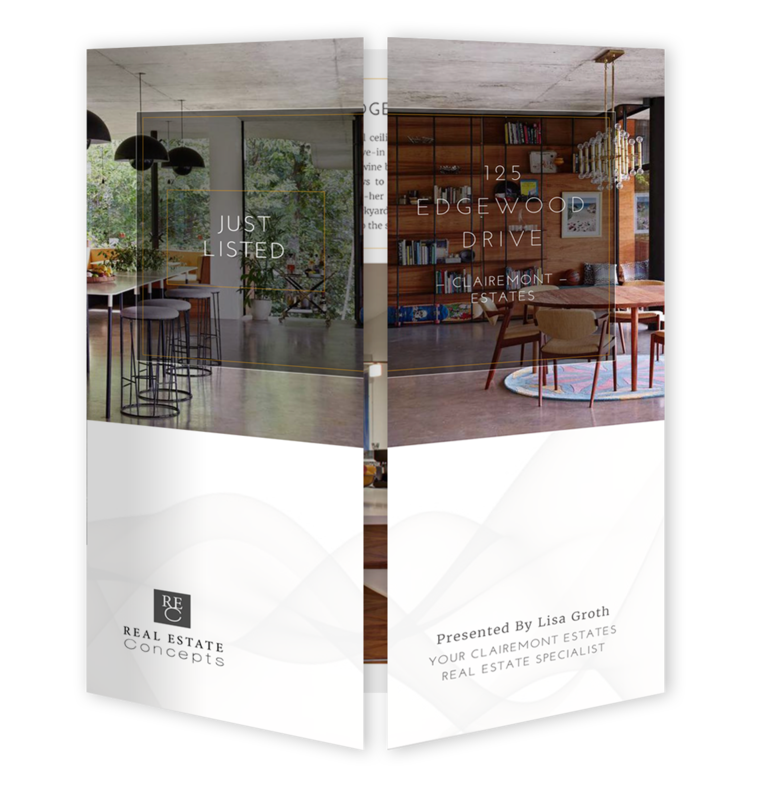 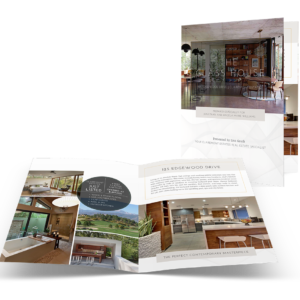 This brochure offers a unique perspective on displaying a property – perfect at any open house and showcases your ability to differentiate and innovate. 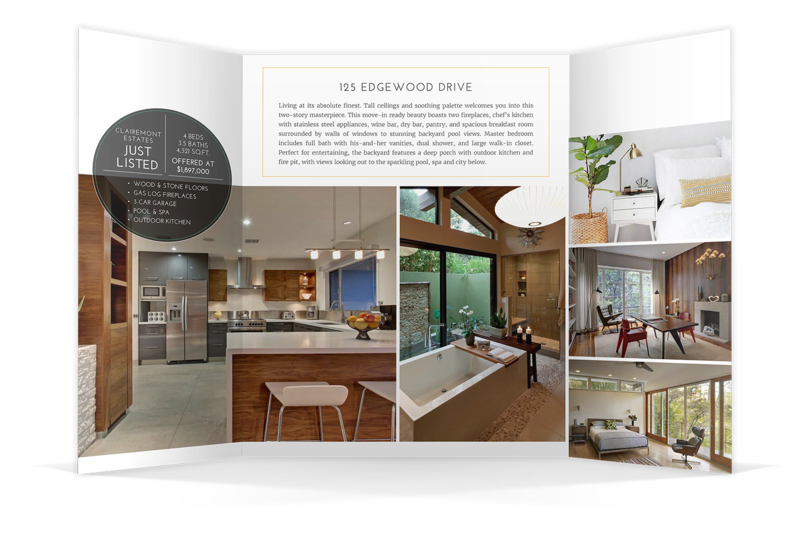 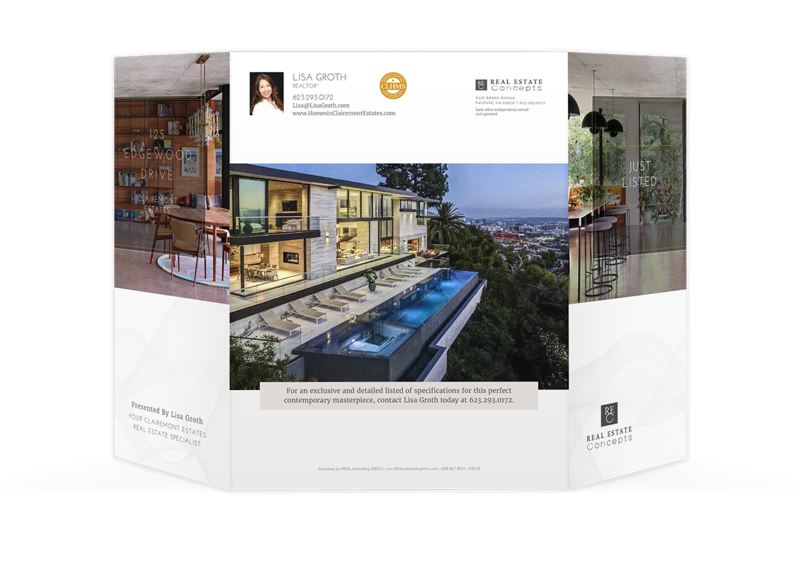 Position yourself as the marketing expert in the eyes of your current and potential luxury clients and outclass the competition with these professionally designed property brochures. 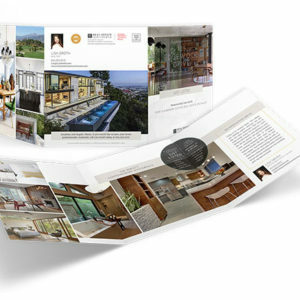 Optional Extra: Turn your property brochure digital! 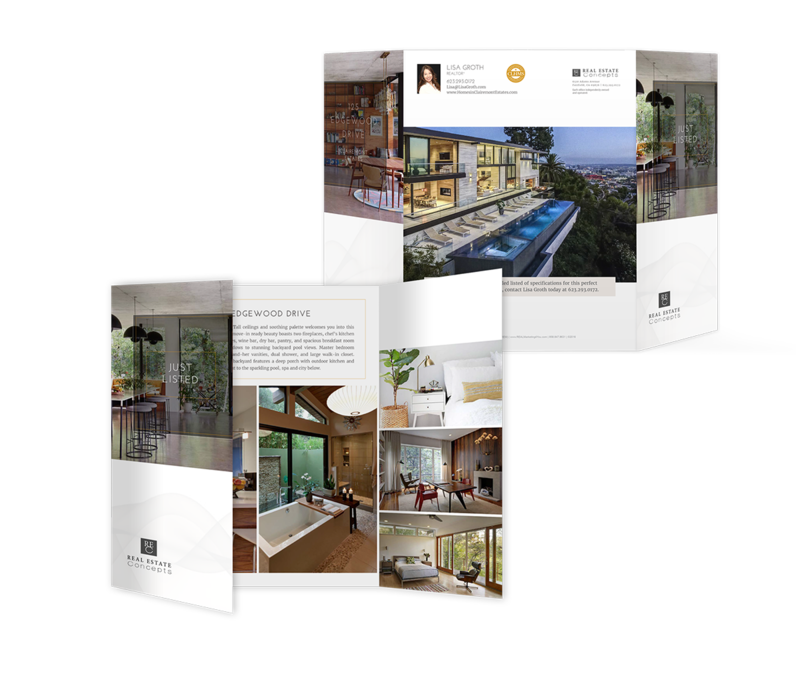 Place a photo link on your social media platform, website, in your email signature or as an email to your clients.